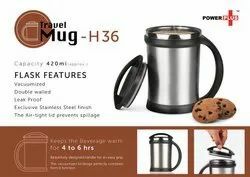 Manufacturer and Exporter of Customised Mugs, Magic Mugs Printing, Magic Photo ...Mugs and Magic Mugs Coffee Warmer Car Travel mug, Flask Bottle, Juicer Bottle, Promotional Mugs and Printed White Mug, Stainless Steel Travel Mug manufacturers, Stainless Steel Travel Mugs. As the name advocates, our high quality Promotional Travel Mugs can be used as a tool for advertising or promoting a product or company. The offered mugs can be used in a wide range of applications such as for serving beer, soft drinks and cocktails. Leveraging on our excellence in the field of promotional items, we hold expertise in offering a wide variety of Promotional Travel Mugs. These mugs are available with us in various sizes and shapes so as to meet the preferences and demands of our customers. We have coffee mugs, stainless steel mugs and travel mugs that are availed by many Institutes, IT Hubs, BPO and Other Companies. 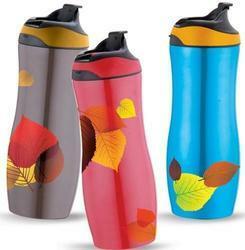 We are providing a wide range of Promotional Travel Mug to our clients. Our high quality Promotional Travel Mugs can be used as a tool for advertising or promoting a product or company. The offered mugs can be used in a wide range of applications such as for serving beer, soft drinks and cocktails. Our products can be availed by our clients in bulk quantities with printed logos of their businesses. The offered product is available at the market leading price.